Never again will you worry about your Phix running out of battery in the middle of the day - the BATPAK is here to the rescue! This on-the-go charger fits the Phix (with pod) and 2 extra Phix pods, which means you'll never lose your Phix or your pods in your bag again. 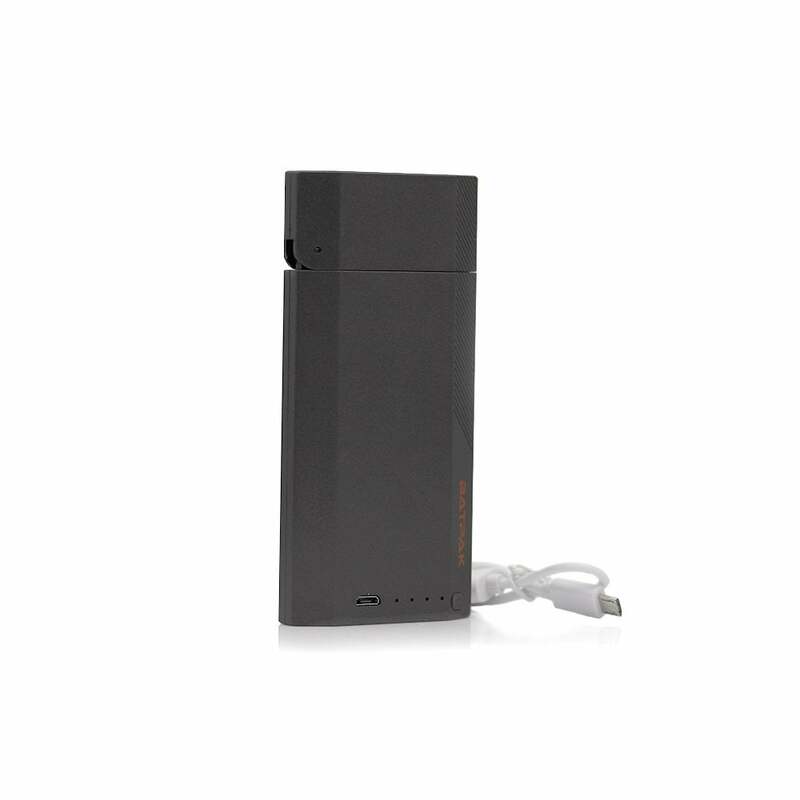 The BATPAK's built-in 2000mAh battery and easy USB charging make it easy to use and long lasting. Conveniently check the current charge capacity by pressing the battery button. This portable charger is a must-have for any PHIX fan, and makes on the go vaping easier than ever!